Do you have a list of books or magazines to read over the next few months? 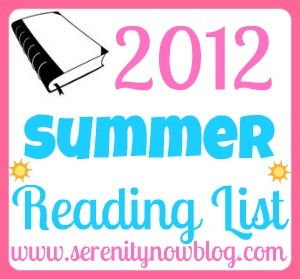 Today's post brings my 2012 Summer Reading List. I rounded up some titles that the girls and I will be checking out this summer. While I don't have a lot of time to read, I read quickly when I make the time...Maybe we can compare notes? To me, one of the ultimate guilty pleasures is to sit by the pool or on the beach with a good read. And actually read it. The girls are old enough to occupy themselves for small stretches, so my dream of relaxing poolside may come true for short periods of time this summer! In one brief title phrase, Kaling shows us that she's going to bring the laughs. Really, what woman out there hasn't wondered the exact same thing about her friends?! If you don't know who Mindy Kaling is, she writes for The Office on NBC, and she also plays Kelly Kapoor--one of the most hilarious characters on the show. This should be a good read. So I'm not really into hobbits and warlocks and dirty people, etc. But I do like princesses, and I saw a commercial for the HBO show, and there was definitely a princess. Or someone who maybe looked like a princess. Also, my brother-in-law thinks I might enjoy it, so I'm going to give it a shot. It can't be any worse than reading Moo Baa La La La to Natalie 17 times a day for 6 months straight. I'm getting ready to start Hot Six. I request these from our local library, so sometimes I have to wait awhile in between books until the next one comes my way. They are pure fluffy, fun reading. I. like. Joe Morelli. (Hubba hubba) They were set in the early 90s, I believe, so I always have to change Stephanie's outfits around in my head....Spandex biker shorts and Doc Martens? No! Skinny jeans and riding boots? Yes! 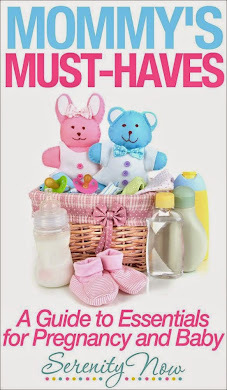 I'm sure there will be others...my Bible study group from MOPS will most likely be doing a fun book study on motherhood and friendships. I have another great group of friends who wants to do a chick-lit style book club this summer. Junie B. is kind of bratty, but Natalie and Michaela Byrd get the biggest kicks out of her antics. We borrowed this one on CD from the library, but haven't listened to it yet. Books on CD make car rides more enjoyable for everyone! If your kids (particularly boys) haven't read any of the Henry Huggins books, they must! These are classics. My girls love listening and learning about how kids in the "olden days" (the 1950s) lived. Cleary wrote the books because the boys in her library couldn't find any realistic books about "boys like us." She later wrote the Ramona books (equally adorable), which were made into what appeared to be a horrible movie. These are some of Michaela Byrd's favorite books. The girls got a whole bunch of the soft covers for Christmas, and we have yet to read through them all. We go to the library several Saturdays a month, and the girls seem to enjoy tearing through the children's section in a mad dash to select a book before the other one does. We end up with some odd choices, but at least we're reading, right? So...what's on your Summer Reading List? Do you make time for reading? If you enjoyed this post or found it helpful, I'd love for you to click your "Pin It" button or maybe even a +1 for Google+. Think I'm going to take your advice and add MKA to my list for summer. Can you believe I've never read Mary Kay Andrews? I don't know why, I've always heard good things. Maybe this summer. I really want to read the Mindy Kaling book. Heard it's hilarious! 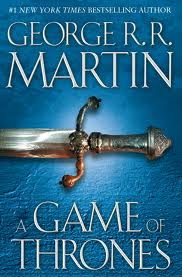 Read the first Game of Thrones book, it is really good. Some Mary Kay Andrews I like, some I don't. I hope this one is a good 'un. I also highly recommend "The Mill River Recluse". It spent a lot of time on the best seller lists and it is really good. I don't know how you will feel about the Fire & Ice Series (Game of Thrones is book 1) I love the fantasy genre,so it's right up my alley. There is a lot more to the books than just that, though. Princesses - spoiler alert - they're not always treated like a princess. The first book is hard to get into at first. A chapter about one person followed by a chapter about another person. Hard to get them all straight at first. But if you stick with it, you may like it. Judging by the other books you listed, I'm not sure, though. In places, it's kinda dark. Love Evanovich, she is SO funny. Thanks for the recommendation of Kaling and Andrews. Been looking for a new author to follow and you gave me TWO. I have only recently started reading again. I read the Hunger Games series and they are so good. I could not put them down to the point that I was staying up til 2am to read on weeknights. Now I'm reading everything by Jane Austen. 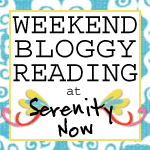 I do a monthly reading list on my blog. I usually get through around 4 books a month (mostly from the library) and love to read..when I get time! 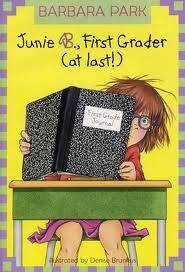 Junie B actually made my list for last month. I've reread the whole series for the third time this past month with my kids. Love those books. If you haven't read Unbroken by Laura Hilenbrand you should. Phenomenal...best book I read this year. 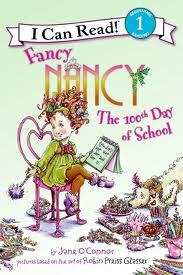 Also, Bossy Pants was pretty good if you like Mandy Kaling's book. Check out my reading lists on my blog for more ideas. I feature at least 5 a month. It will get you started! I didn't know that MKA has a new book coming out. Thanks for the heads-up on that. I'll have to check out Mindy Kaling, too. I think I'd like that one. I started reading MKA books last year after you reccommended a few...and they were so good! I just bought Summer Rental for our big trip:) I need to get #2 in the Janet Evanocich series too. My boys have a couple of Calendar Mystery books and a few Judy Bloom books to read this summer. I do that with the Plum books too! :) Most of the outfits she puts on are so dated it's distracting to try to picture it! haha. The Mindy Kaling book sounds good! Think I'll look into that one! Do you have a Good Reads account? I keep all my reading lists organized there. I started reading the Stephanie Plum series after your last book list! Love me some Joe Morelli! 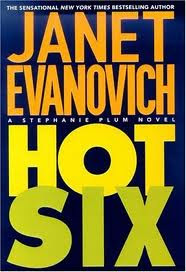 Hi Amanda, I just read some of the Plum series based on your recommendation, and wondered if you've read Hot Six yet and what you think of it. Personally, I'm going to stop with this series, it's getting dirtier and stupider as it goes along. I did read Mindy Kaling and thought she was funny, so thanks for the suggestion.